Last month, my husband and I made the very last payment on our mortgage, which was our last step in becoming completely debt free. I’m not sure the reality of it has hit me yet. I still can’t believe we finally did it! When you set a long-term goal and work hard day in and day out, staying disciplined to reach it and then you actually do achieve it, It feels so incredibly satisfying. Here’s how we did it. I’m going with full disclosure here. We bought our house three and a half years ago, and our mortgage was $93,000. I know that seems like a pretty small mortgage amount, but I assure you that our house is not a shack. We actually live in a very affordable area for housing in the southeast, and our home that we bought out of foreclosure is 1,500 square feet and worth about $130,000. We got a really great deal, and that is a huge part of how we got into this position today. Downsizing was the single most important thing we did to get us here. 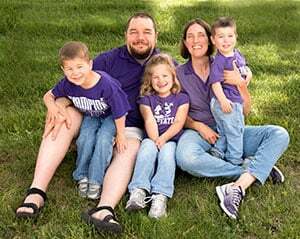 Our previous house was much larger and had a much higher mortgage payment, so when we began house hunting and stumbled across this diamond in the rough, it set us on the straight and narrow path to becoming mortgage free. Realizing the potential for becoming completely debt free in a few short years was a very exciting and motivating feeling. It put things in perspective for us so that we could reorganize our finances to really work for us and what we wanted to do. Our goal was to not owe anything to a bank, and buying a smaller home helped simplify our lives and finances so much that I was even able to quit my job in the process to stay at home with my daughter and start freelancing. Downsizing afforded me that opportunity. Any extra money that came our way went towards paying down our mortgage. At one point, we even drained part of our emergency fund to pay down our mortgage. As fun as it is to watch your savings account at Synchrony Bank grow, we drew excitement from watching our mortgage balance drop. We kept a copy of our mortgage statement on the refrigerator for a while to have a daily reminder of it when we were outside the house and tempted to shop. Every payday, we would balance the checkbook and then tally up our savings and checking accounts to compare it to the balance of our mortgage. The day those two numbers finally matched was an exciting day, although I knew we couldn’t just deplete the entirety of our accounts to pay it off that same day. Still, it was an exciting realization that we were so close we could taste it. There’s an endless debate about saving your extra money to invest elsewhere instead of paying down your mortgage. Believe me, I’m aware. Before you start telling me that I could’ve made 8.35% more by investing that money elsewhere instead, I’ll go ahead and assure you that we didn’t shun our retirement savings to pay off our house. Far from it, actually. We made sure to maintain healthy emergency, savings, and retirement accounts throughout the process of paying down our debt. Maybe we could have made more money in the long run by investing through an online brokerage account but our dream of owning our home free and clear surpassed that of growing an investment that involves risk. There’s not risk involved in paying off your debt, and not everyone dreams of early retirement. You have to do what is right for you, not what other people think you should do. That’s a great question, and one we haven’t quite figured out yet. Paying off our mortgage was a huge long-term goal for us, and having that common goal really helped push us towards it faster and faster. I really never would have thought we’d get there this quickly, and now that we’ve arrived, I don’t know what our next goal is going to be. Additional resource: If you’re looking for a simple way to stay on top of all your finances so you can stay on top of your entire financial picture, then check out my favorite tool – Personal Capital. Completely free, it allows you to track your spending, monitor your bank and investment accounts and watch your net worth grow plus many other tools. What would you do with your extra money if you didn’t have a mortgage payment? Are you trying to pay off your mortgage early? Have you ever downsized your home and belongings? Losing the mortgage was one of our best decisions too! Between my husband’s stipend (he’s a student) and our rental property income, we believe that we will be okay-ish if I choose to quit my job. This is incredibly freeing. What will you do now that you don’t have a mortgage? Whatever you want (within reason)! I’d really like to increase the investments we have outside of our 401k, and I’d like to travel more, preferably outside the country. That’s on the back burner, though, since we have a 4 year old. Congrats on also being mortgage free! Congrats! We should be mortgage-free in less than a year, which would make it 6 years from when we bought our first house. We know it might make more sense mathematically to invest the extra money going to early payoff, but the idea of being debt-free & owning our home really appeals to us. We were in the exact same boat. We wanted to say we were completely debt free. Congrats on being only a year away! It’ll be here before you know it. Hey, that’s awesome! I think that’s great. Living below your means definitely helps! We got a pretty cheap house and could pay it off right now if we wanted – we’ve got about 10.5 years to go if we take the long route. Still, we’ll only be 46 years old! That’s awesome that you guys could pay it off now if you wanted to. But it makes sense not to if you guys have your money invested elsewhere and want to keep it that way. I’ve thought about paying down my mortgage often! But I’ve only got 11 years left. And it’s very affordable at less than $1,400 per month with a 3.25% interest rate. There’s something about having no debt that would feel incredibly freeing, though. Paying off $93k in 3.5 years is pretty impressive especially while maintaining emergency savings and continuing to make retirement savings contributions.Congrats! Thanks so much, JC! I appreciate that. Congrats on the mortgage payoff. I would love to be in that club but we’re paying off out most expensive rental property first and will be done in about 4 years. After that I’m hoping we can pay off our house and other two properties quickly. I don’t want to wish time away but it’s hard not to be anxious. Wow great job! We just sold our house but plan on buying again in 2017. Our plan is to buy something pretty cheap so that we can pay it off quickly. Let me tell you, it’s so worth it to buy cheaper. The feeling of being paid off is like none other. Great job. Sounds like you made a lot of great decisions along the way, including the decision to take a mortgage that is pretty small compared to what the average loan is these days. I honestly couldn’t believe we got out so cheap, to be honest. I know that we got a steal of a house. I think that is awesome. Paying off that amount in such a short period of time while maintaining savings is an achievement to say the least! We’re doing all of these things! We just downsized to a house that’s one-third the size to rid ourselves of the mortgage. Now, we’re hustling to get rid of our remaining debts in the next year. Downsizing our housing and its related expenses is a critical part of our debt payoff plan. I’m so excited for you! Congrats on making the decision to get there. That’s one of the hardest parts. Congrats on all that hard work paying off! All of my side hustle money this year is earmarked for our mortgage (plus we already pay extra on the principal each month). We definitely won’t be done in 3.5 years, but I can completely understand the excited that comes from watching that number drop. That’s awesome that you’re using all your side hustle income to pay down your mortgage. I like that plan! Congrats! That final payment is huge. Time to start the investing. That final payment was great. And yes, time to buckle down on heavy investing. After a trip to Vegas. San Francisco is a different story, my friend! I’m lucky that we live in Georgia where homes are so much more affordable. I can’t even imagine what the homes cost out your way! Aww, thanks so much! It’s very important not to ignore your retirement investments while you’re paying off your mortgage, so keep at it! Six years is still a really fast mortgage payoff plan, and those two years will be gone before you know it. Yay!! Congratulations. That is awesome. I can’t wait to hear what you decide to do next. I am sooooooooooo proud of all of you guys. You are turning that “millenials are – whatever” stereotype on it’s head. Good for all of you!!!!! That is seriously impressive, unfortunately I live in London, when I look at my mortgage I wonder if it is possible I will live to 150 years old to be able to pay it off! Hmm…maybe you could downsize to a more affordable home or move just outside the city? Or perhaps rent while you’re in the city and opt to retire elsewhere. Wow, that’s awesome! Congrats! I’ve been aggressively paying mine down after maxing out retirement accounts and keeping a healthy amount of money in cash reserves. 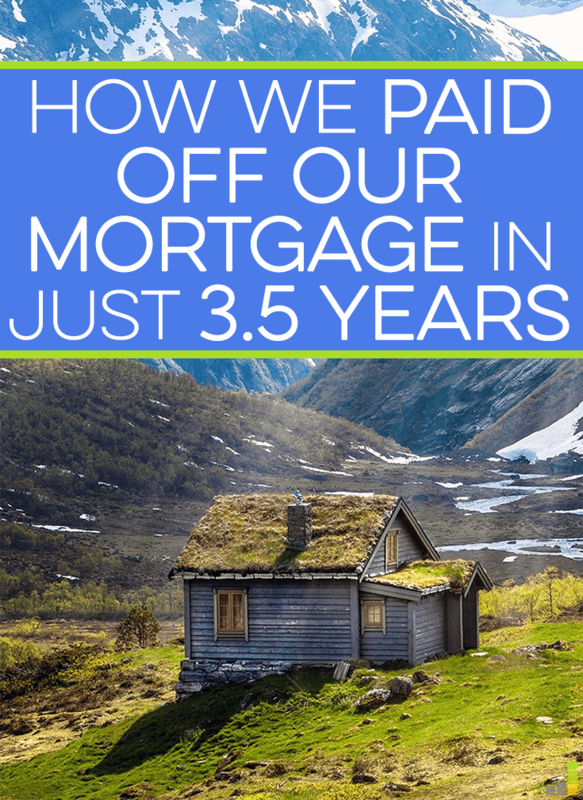 I paid off the first half of my originally almost $300,000 mortgage (yay HCOL!) in 2.5 years and things have been going a bit slower since then because life has happened. I’m still on track to pay it off by my 30th birthday, so it’s all good! I remember the day that if I liquidated ALL of my retirement accounts, I could pay off my mortgage. That was a pretty awesome day! Not that I would ever do that, but that milestone was awesome. We paid our first home off in 3-1/2 years also. We were so blessed in the whole situation. We got married in the late 80’s. My husband works at Wal-Mart and purchased stock through the employee plan. The 80’s was also a good time for WM stock. We both only made around $5 an hour on our jobs. We bought an owner-financed house for $30K (cheap part of the country) and didn’t really pay much extra on it, but after about 3-1/2 years, the owner said he would take some off the PRINCIPLE if we paid it off and we had enough in stock. We had also used a loan against the stock for the downpayment. We were about 23 and 27 years old when we had our first house paid off. We stayed there for several years and bought our current house and paid it off in about 7-1/2 years. It is an awesome feeling to not have a mortgage and is also a big factor in me being able to stay home. That’s awesome, Chris. That’s so young to be mortgage-free! That’s a great way to start off your financial life. It also goes to show that you don’t have to make six figures to be financially healthy. Congratulations. That is a big accomplishment. We just did the math yesterday and figured out we’ll be done in 4 more years. It is so hard to believe it will be done. We get the investment argument quite a bit, but we save and invest like crazy and pay off our house so why not do it all. Plus very few add in the amount saved from interest which is huge and also what you can do with the savings from not making future payments. Plus nothing replaces the feeling of relief once you are done. Nice job! Yes, yes, yes, I couldn’t agree with you more. Congrats on being within 4 years of payoff! Now that our mortgage is down to 19K and we have more than that in our emergency fund, I feel a lot less need to pay down the mortgage. It will be gone on its own in less than a year and we’re not paying much in interest each month. Right now I’m on leave from my job, so that’s where the extra that we used to pay on the mortgage is going. About 1/3 of our mortgage payment is escrow so we’re going to have to keep saving it (and property taxes go up each year). I’m not sure what we will do with the remaining 2/3 when the mortgage is gone; maybe we’ll finally do a kitchen renovation. The same thing happened to us when we got our balance so low. We lost motivation because we were paying so little in interest. You didn’t explain how you did it. You just paid more while quitting your job? I need more information. I feel like I just wasted the minutes of my life reading this. You motivated yourself. Great. HOW DID YOU DO IT????? In a nutshell, the single most important thing we did was to downsize from our previous home. $93,000 is pretty low when it comes to mortgages, even in the area we live in. We bought far less house than we could technically “afford.” We also began to question everything we were spending our money on. If it wasn’t adding value to our lives (clothes shopping, salon visits, restaurant and bar tabs, new cars, etc), we stopped buying it. By questioning everything, we greatly reduced our living expenses. We, like many people, spent way too much money on crap we didn’t need. We lived off of 50% of our income so that we could save the other 50% and use it for paying down our principle. Saving 50% of your income results in saving money quickly, and I have an upcoming article about that next week. Also, when I quit my job, we stopped spending so much on gas bills for my car and our $500/month daycare bill was gone, along with lunches out while I was working, among other various things. That also helped greatly. We seriously threw every single extra cent at it, while making sure to keep healthy amounts in our retirement and emergency savings accounts. 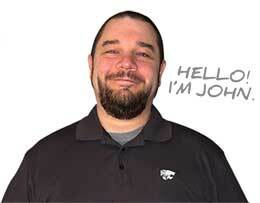 I’d be happy to answer any specific questions you still may have. I like the concept of downsizing and it seems like i have to practice it for me to pay off my mortgage earlier, Robin. Good job! Thanks for sharing your strategies. Congrats on being mortgage free! I know how great it is 🙂 You definitely need a plan for the cash because it’s so easy to justify your purchases with “but we don’t have a mortgage anymore” – trust me 🙂 On the other hand, you’ve worked hard, so be sure to treat yourself a little and enjoy your success. Congrats on paying off your mortgage! I dream of this day but know that for us it is far off (high cost of living area). I do agree you need to set some sort of goal so the money doesn’t get spent frivolously. If travel is your dream I would build up your non-retirement investment accounts. These accounts could not only be used for early retirement if you go that route but could also fund “slow travel” trips in the future. Find some area you want to visit and spend a couple of months there. You could do this during the summers when your daughter is not in school. Congrats to you and your husband! My wife and I share your satisfaction at paying off debt. We paid off our 15-year mortgage about nine years early. In retrospect, I rate that decision the best we’ve made in the financial arena. All the interest savings have been compounding since and helping to secure a comfortable retirement. Plus we’ll never find ourselves ‘underwater,’ trapped in a house by forces outside of our control, as many have been since 2009. I’ve decided to let inflation pay my mortgage for me. Even though inflation is quite low it is still amazing how a small amount of inflation can eat away at your debt over the years. We too were paying our home off fast but have since stopped due to the fact we will be moving in the future to go down south and feel we will make out better by investing. Just our personal preference I guess. Congrats on your accomplishment! You are true inspirations to all of us. Congrats! I just found this article through Rockstar Finance. I paid off my $86,000 mortgage in 2 years, but sadly, I had to move and start all over again. In the short time that I was 100% debt free, I was so happy. It really does help to live in a place where housing is affordable. Congrats again, and please let us know what you decide to do next! Great job on paying off the house! I know this was posted a few years ago, but I wanted to mention the retirement accounts. My wife and I just paid off our house in December. 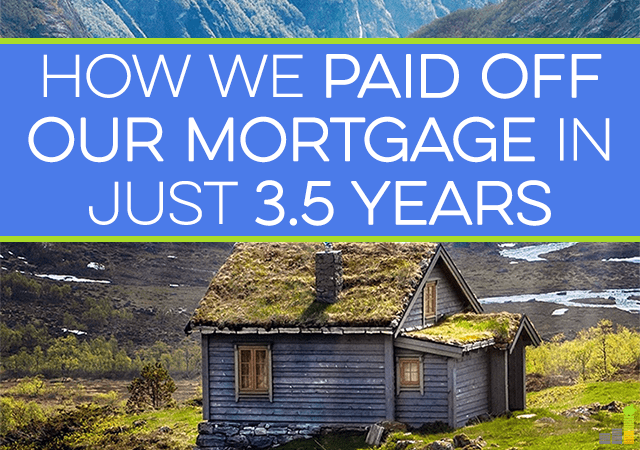 It took us a total of 33 months to pay off our mortgage from the time we bough our first house. What we did was dropped our retirement contributions to 1% our gross versus the 7% that we were used to putting in there every month. This extra cash helped us to pay off the mortgage fast. And now we can put our mortgage payment plus some into our retirement accounts. It was scary at first, but definitely worth it to become debt free. This is not for everyone. Financially it’s not the best decision (with some exceptions), emotionally, sure. I’d rather pay 3% interest (some is deductible so effective rate probably around 2%), and make 8-10% in the market. I wouldn’t recommend to make emotional decisions when it comes to money unless you can’t handle it; which is absolutely fine. I agree Allen, in fact, Robin even touched on that point saying that it’s not for everyone. That being said, I think you’re oversimplifying the emotional aspect just a bit. Emotional or not, they made the decision to kill all of their debt – and not at the expense of saving for retirement. Some things don’t come down to a simple black and white or right or wrong situation. You have to do what’s right for you and I find it hard to argue against someone wanting to pay off their mortgage in full so they can be completely free and allowing them to invest as much as they want.